Home > Women and Children > I often get more severe migraines during my period. Am I the only one? I often get more severe migraines during my period. Am I the only one? 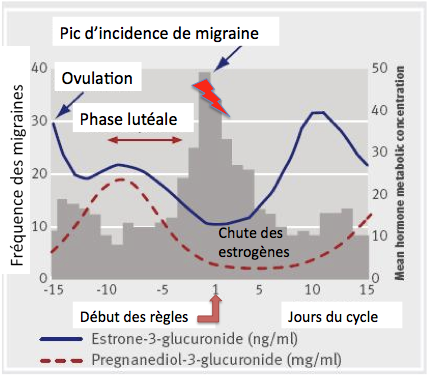 63% of women suffering from migraine have attacks during the ovulation and menstruation periods. Some women have attacks only during their period. Estrogen levels in the blood decrease before menstruation, which triggers migraines. During menstruation, a disturbance of other brain chemicals can aggravate pain, such as: prostaglandins, opioids, serotonin, and dopamine. This disturbance will contribute to make attacks longer and harder to control.